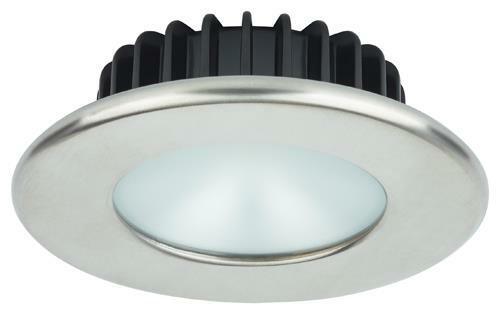 Imtra's Rockport PowerLED ceiling light with a variety of finish colors and subtle frosted glass lens is distinguished by subtly rounded and low-profile features than other members of the Portland family of lights. With Imtra's Rockport PowerLED fixture, this fixture has consistently long-lasting and even light distribution and very low power-consumption and thermal output. Warm White, Cool White, Green, Warm White/Red, Warm White/Blue, Cool White/Red and Cool White/Blue Bi-Color LED Bulbs available. 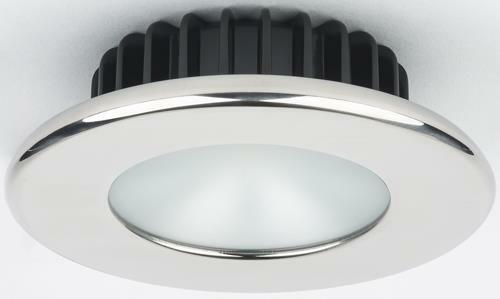 Bi-color bulb options offer a full-brightness Warm or Cool White LED in addition to a secondary color option. These LEDs are able to function on an input of 10-30 volts DC.